6800301 MC10 YALE MC10 Pallet Truck MC series. Spare Parts Catalog. Service (workshop) Manual. Operator's Instruction Manual. 6800302 MC12 YALE MC12 Pallet Truck MC series. Spare Parts Catalog. Service (workshop) Manual. Operator's Instruction Manual. 6800303 MC15 YALE MC15 Pallet Truck MC series. Spare Parts Catalog. Service (workshop) Manual. Operator's Instruction Manual. 6800305 MLW040 YALE MLW040 Pallet Truck ML series. Spare Parts Catalog. Service (workshop) Manual. Operator's Instruction Manual. 6800306 MLW060 YALE MLW060 Pallet Truck ML series. Spare Parts Catalog. Service (workshop) Manual. Operator's Instruction Manual. 6800308 MO10 AC YALE MO10 AC Order picker MO series. Spare Parts Catalog. Service (workshop) Manual. Operator's Instruction Manual. 6800309 MO10-E YALE MO10-E Order picker MO series. Spare Parts Catalog. Service (workshop) Manual. Operator's Instruction Manual. 6800310 MO10-E AC YALE MO10-E AC Order picker MO series. Spare Parts Catalog. Service (workshop) Manual. Operator's Instruction Manual. 6800311 MO10L YALE MO10L Order picker MO series. Spare Parts Catalog. Service (workshop) Manual. Operator's Instruction Manual. 6800312 MO10S YALE MO10S Order picker MO series. Spare Parts Catalog. Service (workshop) Manual. Operator's Instruction Manual. 6800313 MO10S AC YALE MO10S AC Order picker MO series. Spare Parts Catalog. Service (workshop) Manual. Operator's Instruction Manual. 6800314 MO10S WP AC YALE MO10S WP AC Order picker MO series. Spare Parts Catalog. Service (workshop) Manual. Operator's Instruction Manual. 6800315 MO20 YALE MO20 Order picker MO series. Spare Parts Catalog. Service (workshop) Manual. Operator's Instruction Manual. 6800316 MO20F YALE MO20F Order picker MO series. Spare Parts Catalog. Service (workshop) Manual. Operator's Instruction Manual. 6800317 MO20LF YALE MO20LF Order picker MO series. Spare Parts Catalog. Service (workshop) Manual. Operator's Instruction Manual. 6800318 MO20P YALE MO20P Order picker MO series. Spare Parts Catalog. Service (workshop) Manual. Operator's Instruction Manual. 6800319 MO20S YALE MO20S Order picker MO series. Spare Parts Catalog. Service (workshop) Manual. Operator's Instruction Manual. 6800320 MO20SLF YALE MO20SLF Order picker MO series. Spare Parts Catalog. Service (workshop) Manual. Operator's Instruction Manual. 6800321 MO25 YALE MO25 Order picker MO series. Spare Parts Catalog. Service (workshop) Manual. Operator's Instruction Manual. 6800323 MP045VG YALE MP045VG Pallet Truck MP series. Spare Parts Catalog. Service (workshop) Manual. Operator's Instruction Manual. 6800324 MP04ACN YALE MP04ACN Pallet Truck MP series. Spare Parts Catalog. Service (workshop) Manual. Operator's Instruction Manual. 6800325 MP13 YALE MP13 Pallet Truck MP series. Spare Parts Catalog. Service (workshop) Manual. Operator's Instruction Manual. 6800326 MP16 YALE MP16 Pallet Truck MP series. Spare Parts Catalog. Service (workshop) Manual. Operator's Instruction Manual. 6800327 MP16-E YALE MP16-E Pallet Truck MP series. Spare Parts Catalog. Service (workshop) Manual. Operator's Instruction Manual. 6800328 MP18 YALE MP18 Pallet Truck MP series. Spare Parts Catalog. Service (workshop) Manual. Operator's Instruction Manual. 6800329 MP18-E YALE MP18-E Pallet Truck MP series. Spare Parts Catalog. Service (workshop) Manual. Operator's Instruction Manual. 6800330 MP20 YALE MP20 Pallet Truck MP series. Spare Parts Catalog. Service (workshop) Manual. Operator's Instruction Manual. 6800331 MP20 AC YALE MP20 AC Pallet Truck MP series. Spare Parts Catalog. Service (workshop) Manual. Operator's Instruction Manual. 6800332 MP20 L YALE MP20 L Pallet Truck MP series. Spare Parts Catalog. Service (workshop) Manual. Operator's Instruction Manual. 6800333 MP20AP YALE MP20AP Pallet Truck MP series. Spare Parts Catalog. Service (workshop) Manual. Operator's Instruction Manual. 6800334 MP20DL YALE MP20DL Pallet Truck MP series. Spare Parts Catalog. Service (workshop) Manual. Operator's Instruction Manual. 6800335 MP20-E YALE MP20-E Pallet Truck MP series. Spare Parts Catalog. Service (workshop) Manual. Operator's Instruction Manual. 6800336 MP20L YALE MP20L Pallet Truck MP series. Spare Parts Catalog. Service (workshop) Manual. Operator's Instruction Manual. 6800337 MP20L AC YALE MP20L AC Pallet Truck MP series. Spare Parts Catalog. Service (workshop) Manual. Operator's Instruction Manual. 6800338 MP20S YALE MP20S Pallet Truck MP series. Spare Parts Catalog. Service (workshop) Manual. Operator's Instruction Manual. 6800339 MP20T YALE MP20T Pallet Truck MP series. Spare Parts Catalog. Service (workshop) Manual. Operator's Instruction Manual. 6800340 MP20V YALE MP20V Pallet Truck MP series. Spare Parts Catalog. Service (workshop) Manual. Operator's Instruction Manual. 6800341 MP20X YALE MP20X Pallet Truck MP series. Spare Parts Catalog. Service (workshop) Manual. Operator's Instruction Manual. 6800342 MP20X FBW YALE MP20X FBW Pallet Truck MP series. Spare Parts Catalog. Service (workshop) Manual. Operator's Instruction Manual. 6800343 MP20XD YALE MP20XD Pallet Truck MP series. Spare Parts Catalog. Service (workshop) Manual. Operator's Instruction Manual. 6800344 MP20XV YALE MP20XV Pallet Truck MP series. Spare Parts Catalog. Service (workshop) Manual. Operator's Instruction Manual. 6800345 MP22 YALE MP22 Pallet Truck MP series. Spare Parts Catalog. Service (workshop) Manual. Operator's Instruction Manual. 6800346 MP22 AC YALE MP22 AC Pallet Truck MP series. Spare Parts Catalog. Service (workshop) Manual. Operator's Instruction Manual. 6800347 MP22E YALE MP22E Pallet Truck MP series. Spare Parts Catalog. Service (workshop) Manual. Operator's Instruction Manual. 6800348 MP25HD YALE MP25HD Pallet Truck MP series. Spare Parts Catalog. Service (workshop) Manual. Operator's Instruction Manual. 6800349 MP30HD YALE MP30HD Pallet Truck MP series. Spare Parts Catalog. Service (workshop) Manual. Operator's Instruction Manual. 6800350 MP30S YALE MP30S Pallet Truck MP series. Spare Parts Catalog. Service (workshop) Manual. Operator's Instruction Manual. 6800352 MPB040AC YALE MPB040AC Motorized Hand Truck MPB series. Spare Parts Catalog. Service (workshop) Manual. Operator's Instruction Manual. 6800353 MPB040-E YALE MPB040-E Motorized Hand Truck MPB series. Spare Parts Catalog. Service (workshop) Manual. Operator's Instruction Manual. 6800354 MPB045VG YALE MPB045VG Motorized Hand Truck MPB series. Spare Parts Catalog. Service (workshop) Manual. Operator's Instruction Manual. 6800355 MPB04ACN YALE MPB04ACN Motorized Hand Truck MPB series. Spare Parts Catalog. Service (workshop) Manual. Operator's Instruction Manual. 6800357 MPC050VG YALE MPC050VG Pallet Truck MPC series. Spare Parts Catalog. Service (workshop) Manual. Operator's Instruction Manual. 6800358 MPC060AD YALE MPC060AD Pallet Truck MPC series. Spare Parts Catalog. Service (workshop) Manual. Operator's Instruction Manual. 6800359 MPC060-E YALE MPC060-E Pallet Truck MPC series. Spare Parts Catalog. Service (workshop) Manual. Operator's Instruction Manual. 6800360 MPC060-F YALE MPC060-F Pallet Truck MPC series. Spare Parts Catalog. Service (workshop) Manual. Operator's Instruction Manual. 6800361 MPC060LC YALE MPC060LC Pallet Truck MPC series. Spare Parts Catalog. Service (workshop) Manual. Operator's Instruction Manual. 6800362 MPC060LD YALE MPC060LD Pallet Truck MPC series. Spare Parts Catalog. Service (workshop) Manual. Operator's Instruction Manual. 6800363 MPC060VG YALE MPC060VG Pallet Truck MPC series. Spare Parts Catalog. Service (workshop) Manual. Operator's Instruction Manual. 6800364 MPC080AD YALE MPC080AD Pallet Truck MPC series. Spare Parts Catalog. Service (workshop) Manual. Operator's Instruction Manual. 6800365 MPC080-E YALE MPC080-E Pallet Truck MPC series. Spare Parts Catalog. Service (workshop) Manual. Operator's Instruction Manual. 6800366 MPC080-F YALE MPC080-F Pallet Truck MPC series. Spare Parts Catalog. Service (workshop) Manual. Operator's Instruction Manual. 6800367 MPC080LC YALE MPC080LC Pallet Truck MPC series. Spare Parts Catalog. Service (workshop) Manual. Operator's Instruction Manual. 6800368 MPC080LD YALE MPC080LD Pallet Truck MPC series. Spare Parts Catalog. Service (workshop) Manual. Operator's Instruction Manual. 6800369 MPC080VG YALE MPC080VG Pallet Truck MPC series. Spare Parts Catalog. Service (workshop) Manual. Operator's Instruction Manual. 6800371 MPE060-E YALE MPE060-E Pallet Truck MPE series. Spare Parts Catalog. Service (workshop) Manual. Operator's Instruction Manual. 6800372 MPE060-F YALE MPE060-F Pallet Truck MPE series. Spare Parts Catalog. Service (workshop) Manual. Operator's Instruction Manual. 6800373 MPE060LC YALE MPE060LC Pallet Truck MPE series. Spare Parts Catalog. Service (workshop) Manual. Operator's Instruction Manual. 6800374 MPE060SC YALE MPE060SC Pallet Truck MPE series. Spare Parts Catalog. Service (workshop) Manual. Operator's Instruction Manual. 6800375 MPE060VG YALE MPE060VG Pallet Truck MPE series. Spare Parts Catalog. Service (workshop) Manual. Operator's Instruction Manual. 6800376 MPE080-E YALE MPE080-E Pallet Truck MPE series. Spare Parts Catalog. Service (workshop) Manual. Operator's Instruction Manual. 6800377 MPE080-F YALE MPE080-F Pallet Truck MPE series. Spare Parts Catalog. Service (workshop) Manual. Operator's Instruction Manual. 6800378 MPE080LC YALE MPE080LC Pallet Truck MPE series. Spare Parts Catalog. Service (workshop) Manual. Operator's Instruction Manual. 6800379 MPE080SC YALE MPE080SC Pallet Truck MPE series. Spare Parts Catalog. Service (workshop) Manual. Operator's Instruction Manual. 6800380 MPE080VG YALE MPE080VG Pallet Truck MPE series. Spare Parts Catalog. Service (workshop) Manual. Operator's Instruction Manual. 6800382 MPR080VG YALE MPR080VG Pallet Truck MPR series. Spare Parts Catalog. Service (workshop) Manual. Operator's Instruction Manual. 6800383 MPR100VG YALE MPR100VG Pallet Truck MPR series. Spare Parts Catalog. Service (workshop) Manual. Operator's Instruction Manual. 6800385 MPW045D YALE MPW045D Motorized Hand Truck MPW series. Spare Parts Catalog. Service (workshop) Manual. Operator's Instruction Manual. 6800386 MPW045-E YALE MPW045-E Motorized Hand Truck MPW series. Spare Parts Catalog. Service (workshop) Manual. Operator's Instruction Manual. 6800387 MPW050-E YALE MPW050-E Motorized Hand Truck MPW series. Spare Parts Catalog. Service (workshop) Manual. Operator's Instruction Manual. 6800388 MPW060-E YALE MPW060-E Motorized Hand Truck MPW series. Spare Parts Catalog. Service (workshop) Manual. Operator's Instruction Manual. 6800389 MPW065-E YALE MPW065-E Motorized Hand Truck MPW series. Spare Parts Catalog. Service (workshop) Manual. Operator's Instruction Manual. 6800390 MPW080-E YALE MPW080-E Motorized Hand Truck MPW series. Spare Parts Catalog. Service (workshop) Manual. Operator's Instruction Manual. 6800392 MS10 YALE MS10 Pallet staker MS series. Spare Parts Catalog. Service (workshop) Manual. Operator's Instruction Manual. 6800393 MS10-E YALE MS10-E Pallet staker MS series. Spare Parts Catalog. Service (workshop) Manual. Operator's Instruction Manual. 6800394 MS12 YALE MS12 Pallet staker MS series. Spare Parts Catalog. Service (workshop) Manual. Operator's Instruction Manual. 6800395 MS12S YALE MS12S Pallet staker MS series. Spare Parts Catalog. Service (workshop) Manual. Operator's Instruction Manual. 6800396 MS12X YALE MS12X Pallet staker MS series. Spare Parts Catalog. Service (workshop) Manual. Operator's Instruction Manual. 6800397 MS12X I.L. YALE MS12X I.L. Pallet staker MS series. Spare Parts Catalog. Service (workshop) Manual. Operator's Instruction Manual. 6800398 MS12X S.L. YALE MS12X S.L. Pallet staker MS series. Spare Parts Catalog. Service (workshop) Manual. Operator's Instruction Manual. 6800399 MS14 YALE MS14 Pallet staker MS series. Spare Parts Catalog. Service (workshop) Manual. Operator's Instruction Manual. 6800400 MS14 I.L. YALE MS14 I.L. Pallet staker MS series. Spare Parts Catalog. Service (workshop) Manual. Operator's Instruction Manual. 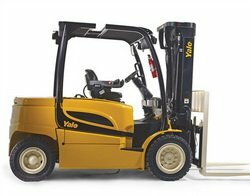 6800401 MS14IL YALE MS14IL Pallet staker MS series. Spare Parts Catalog. Service (workshop) Manual. Operator's Instruction Manual. 6800402 MS15S YALE MS15S Pallet staker MS series. Spare Parts Catalog. Service (workshop) Manual. Operator's Instruction Manual. 6800403 MS15X YALE MS15X Pallet staker MS series. Spare Parts Catalog. Service (workshop) Manual. Operator's Instruction Manual. 6800404 MS15X I.L. YALE MS15X I.L. Pallet staker MS series. Spare Parts Catalog. Service (workshop) Manual. Operator's Instruction Manual. 6800405 MS15X S.L. YALE MS15X S.L. Pallet staker MS series. Spare Parts Catalog. Service (workshop) Manual. Operator's Instruction Manual. 6800406 MS16 YALE MS16 Pallet staker MS series. Spare Parts Catalog. Service (workshop) Manual. Operator's Instruction Manual. 6800407 MS16 I.L. YALE MS16 I.L. Pallet staker MS series. Spare Parts Catalog. Service (workshop) Manual. Operator's Instruction Manual. 6800408 MS16 IL YALE MS16 IL Pallet staker MS series. Spare Parts Catalog. Service (workshop) Manual. Operator's Instruction Manual. 6800409 MSW020 YALE MSW020 Pallet staker MS series. Spare Parts Catalog. Service (workshop) Manual. Operator's Instruction Manual.